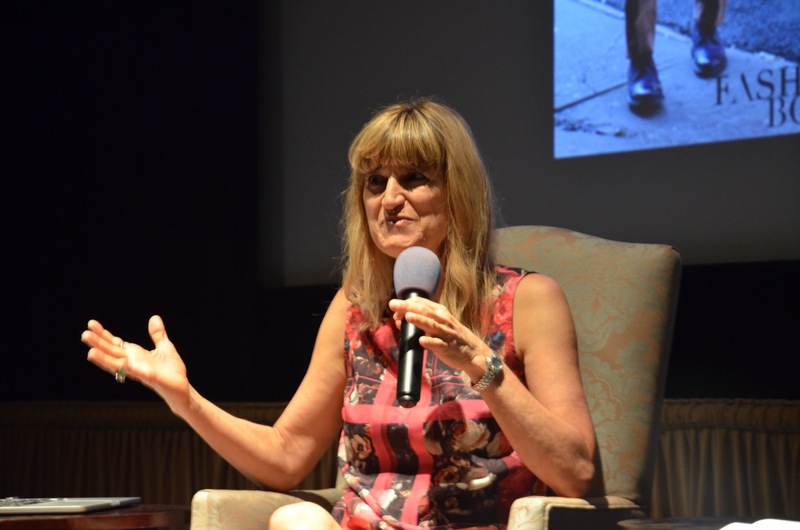 Catherine Hardwicke is a remarkable person. 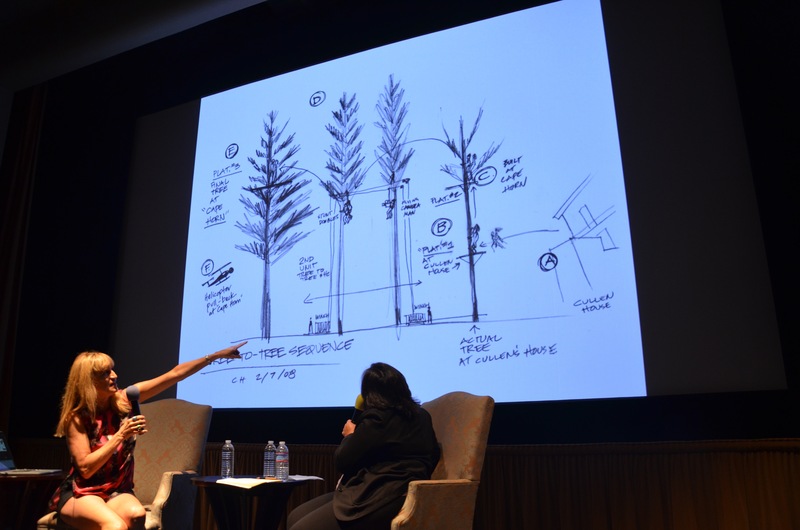 She trained as an architect, then went into production design for movies. 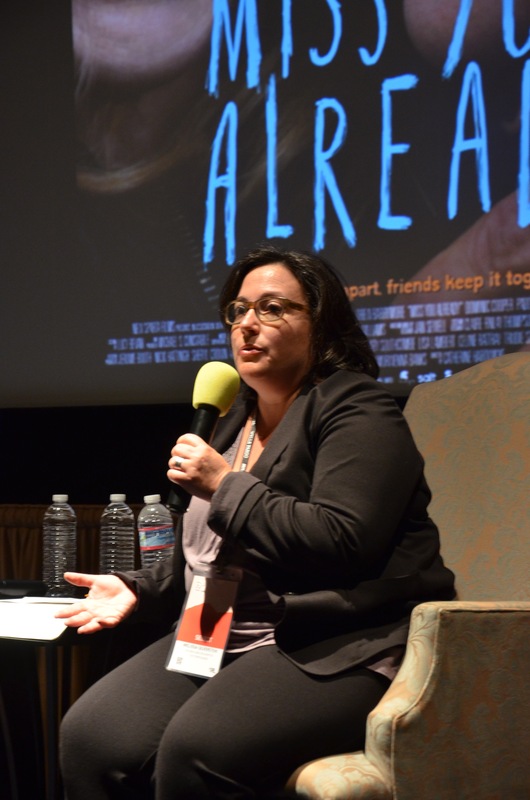 She emerged as a screenwriter and director with the fascinating film, “Thirteen,” a troubling look at a young girl’s journey through the drug scene. She hit the jackpot with “Twilight,” the movie version of an extremely popular teen vampire series, which she executed with beauty and taste and which yielded a $400 million take. Her new movie is “Miss You Already,” a film about two best friends–one gets pregnant and one gets cancer. 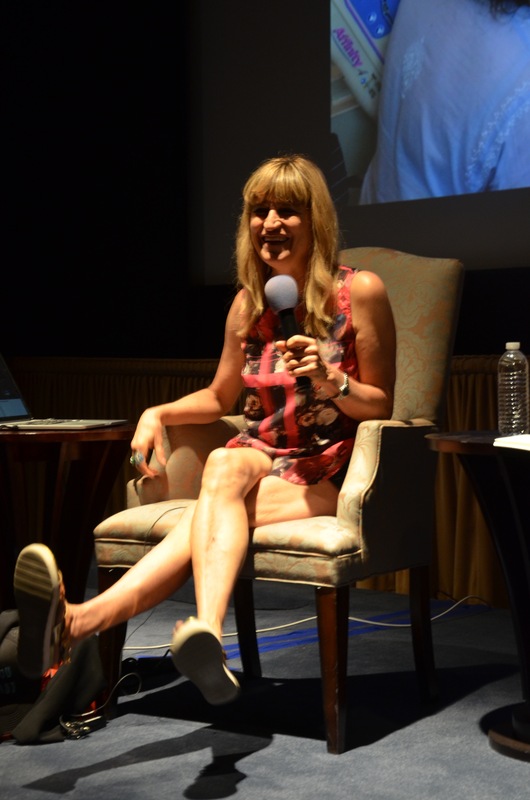 At the Mill Valley Film Festival, where she was honored in a Tribute, she returned the favor by offering a Master Class in directing. 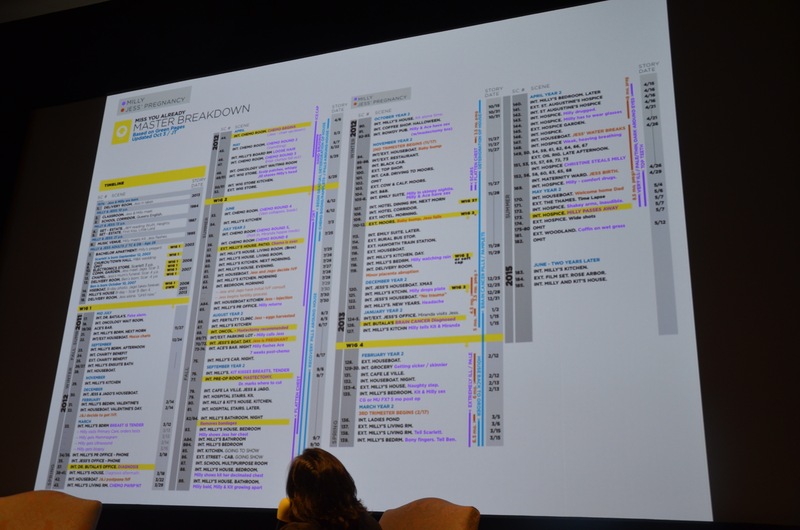 This class was open to all festival attendees, but was populated by many young filmmakers. She was intelligently interviewed by Melissa Silverstein, founder of Women and Hollywood, who added her own helpful insights on women in the profession. 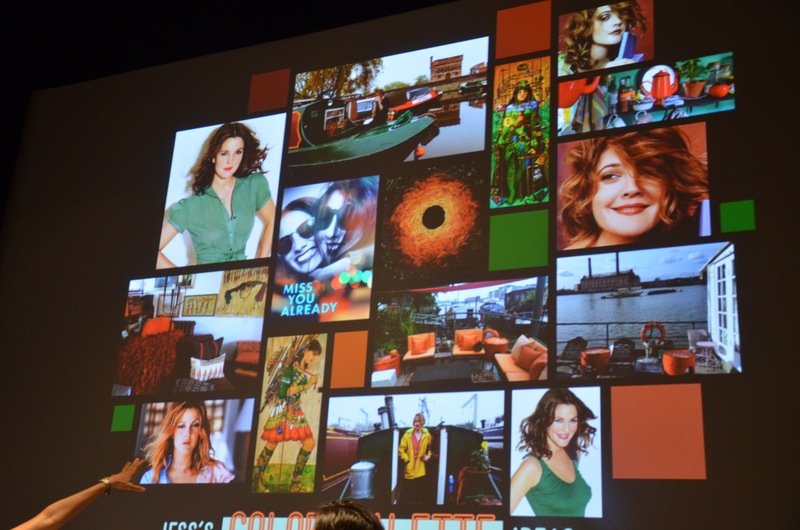 Catherine described how she creates a “Look Book” for each of the characters in her films. Here is one for Drew Barrymore’s character in Miss You Already. She uses this for her own thought process and to entice potential actors by showing them how she sees the character. In Miss You Already, because it involved both chemo and pregnancy, she had to keep careful notes on where both characters were in the process. 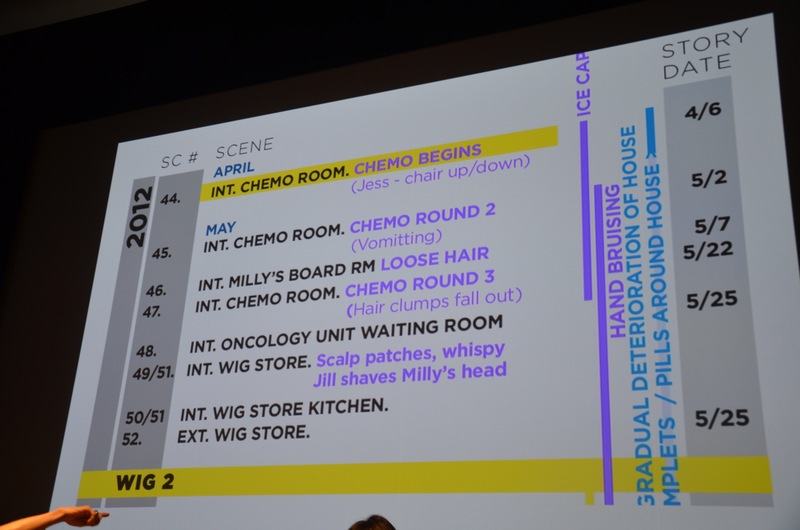 Here is a picture of her explaining her notes on “chemo hair.” Actress Toni Collette actually had her head shaved in the film (in one take, obviously) so they had to get it right. 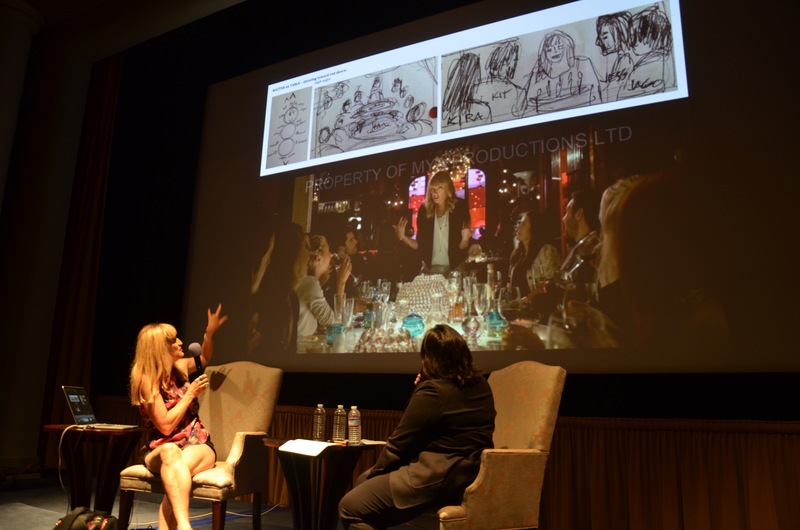 She storyboards as much as possible to maximize efficiency when it comes to shooting. Here is the master breakdown to keep track of what’s going on in the characters’ lives, physically. The logistics and level of detail required were mind-boggling. 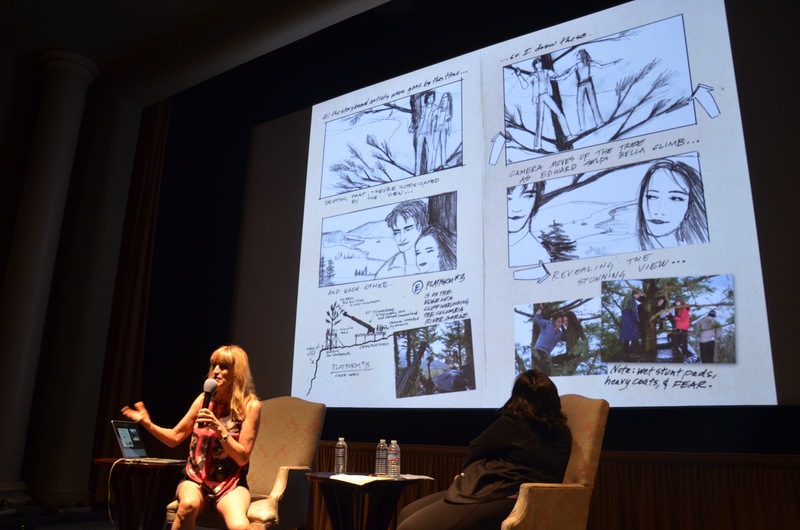 Catherine described how she planned the famous scene in “Twilight,” when the young vampire Edward Cullen (Robert Pattinson) takes his human love interest Bella Swan (Kristen Stewart) on a heart-stopping ride through the giant trees of the Northwest. 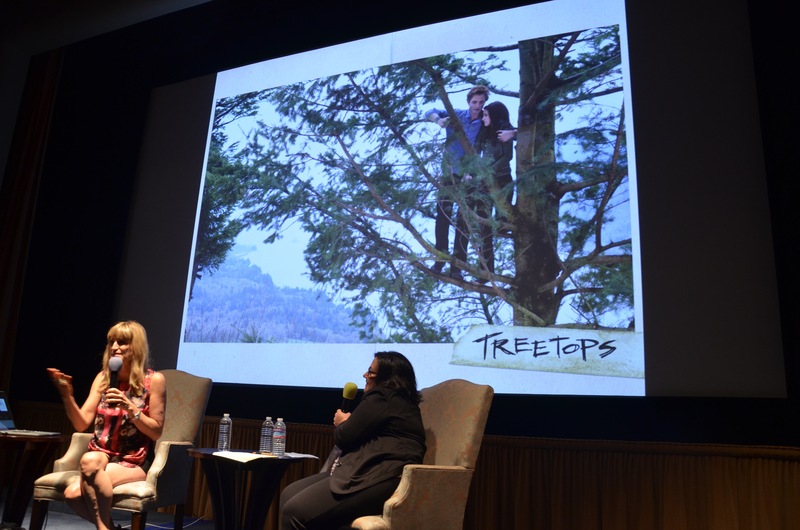 She never asks her actors to do anything she hasn’t done, so she got in the trees first. Everything was carefully storyboarded. She showed the clip of the final scene and it went by in an instant. Another interesting thing she discussed was how she operates to maximize the use of locations. For instance, she used the basement of the house she had rented in London for the family in Miss You Already to stand in for the wig shop. She rented a manor house outside of London that stood in for the hospital, hospice, parks, offices. She made use of every site on the property. She showed how she planned the shots in the house in “Thirteen.” Although the film looked like it was casually following the characters around the house, every shot was carefully planned. This was a very generous, useful, and insightful program by an extremely talented person!